 New imaging disclosure requirements could mean opportunity for radiologists - ONRAD, Inc. Diagnostic Imaging | December 29 – Starting January 1st, referring physicians who provide in-office imaging services must provide their patients with a list of other options in their area. This is a new regulation under the Patient Protection and Affordable Care Act affecting practices under the in-office ancillary exception of the Stark law. So, how does this new requirement affect radiology professionals? Most diagnostic imaging centers and radiology groups won’t be directly impacted, said Thomas W. Greeson, a partner at the Falls Church, Va., office of healthcare group Reed Smith LLP. But there will be some radiology groups subject to the requirement, he said, such as interventional radiologists who are acting as treating physicians. However, it’s probably a good time to make sure your practice is on that list of alternative imaging providers given to patients. This new regulation could be a marketing opportunity for radiology practices to reach out to primary-care providers and others, making sure they are included and the referring practice has their latest contact information.